ISIS says they did it. Hamas says no, we did it. Either way, things like this are why there are checkpoints in Israel. “With God’s help, we succeeded in carrying out an attack in the heart of Jerusalem, near the Temple Mount,” the group said. Such claims are often impossible to corroborate, and Islamic State has taken responsibility in the past for attacks in which it was not directly involved. Islamic State affiliates have claimed rocket fire into Israel, and previous terror attacks in Israel have been Islamic State-inspired. At least two 2016 attacks were inspired by Islamic State, according to Israeli officials: a January 1, 2016, shooting in Tel Aviv that left two bar-goers and a cab driver dead, and a truck attack in Jerusalem in December 2016 in which four soldiers on a tour of cultural sites were slain. “Let the Jews watch for the demise of their state at the hands of the soldiers of the Caliphate,” the statement added. Three West Bank Palestinians, armed with an automatic weapon and knives, carried out near simultaneous attacks at two adjacent locations. Two attacked a group of police officers at Zedekiah’s Cave, and a third stabbed Malka a short distance away at Damascus Gate. 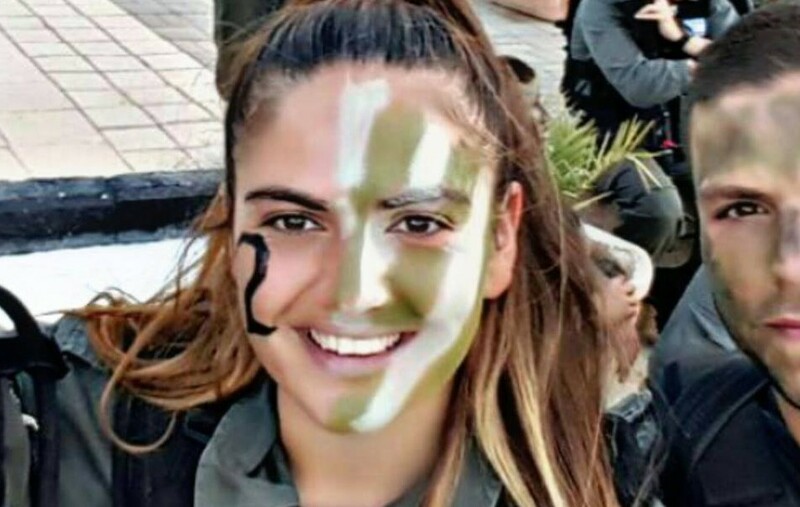 The 23-year-old staff sergeant died of her wounds at Hadassah Hospital in Mount Scopus. The attackers were identified by the Shin Bet internal security agency as Bra’a Salah and Asama Atta, both born in 1998, and Adel Ankush, born the following year. All three were shot dead as they carried out their attacks at the scene by security forces. Early on Saturday morning, Hamas rejected IS’s claim of responsibility, saying the three belonged to Palestinian terrorist organizations. The attack was carried out by “two Palestinians from the Popular Front for the Liberation of Palestine and a third from Hamas,” he said. In the wake of the attack, Prime Minister Benjamin Netanyahu revoked the entry permits given to Palestinians during the Muslim holy month of Ramadan to visit their relatives in Israel. Netanyahu canceled the family visits at the recommendation of Chief of Police Roni Alsheich and Public Security Minister Gilad Erdan, according to a police statement. Israel last month announced that it was relaxing restrictions on the movement of Palestinians to and from the West Bank and Gaza Strip during the Muslim holy month of Ramadan, including easier access to the Al-Aqsa Mosque in Jerusalem, issuing more travel permits and allowing some to travel abroad. The measures were similar to those of previous years.